I don't know what exacly is doing this, but I think it must be something in the settings. I will try to find what is reason of this bug. This problem happen, when you set "Enter Edit Mode" on Enabled. We've already prevented to execute in editmode, but not this special case of Enter Edit Mode setting. Philipp Oeser (lichtwerk) added a commit: rBA4aa080a1c338: A.N.T. 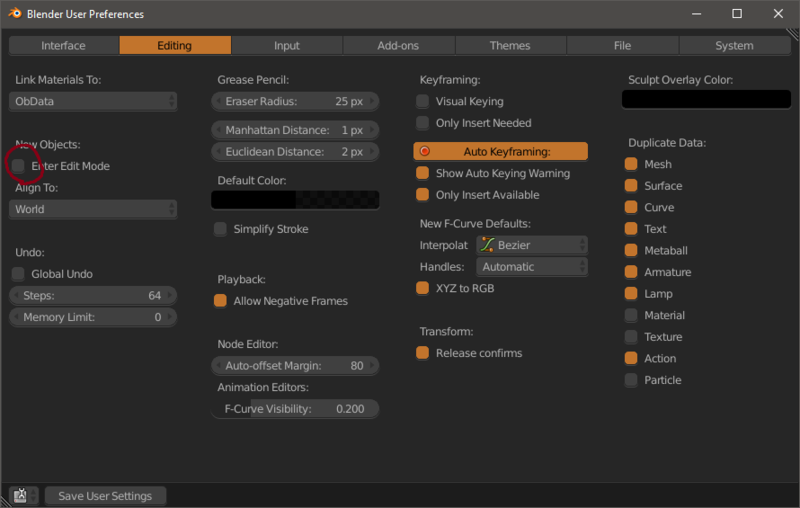 Landscape: prevent entering editmode.